An employee driven effort, each year non-profit organizations are selected by Wolf Construction employees to be sponsored by Wolf Cares. 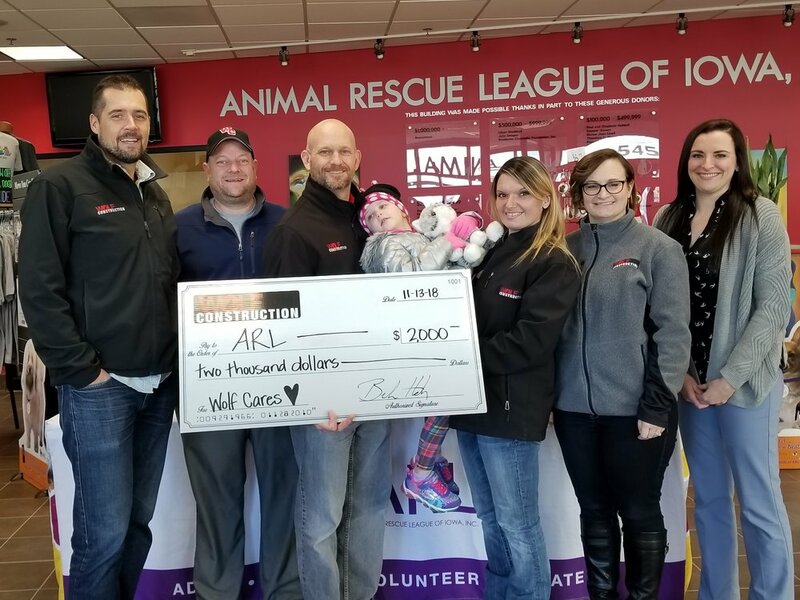 Many team members choose to make contributions to Wolf Cares, those donations are matched 100% by Wolf Construction Services, Inc.
Wolf Construction team members can also be found volunteering as individuals or as a team all over the Midwest. 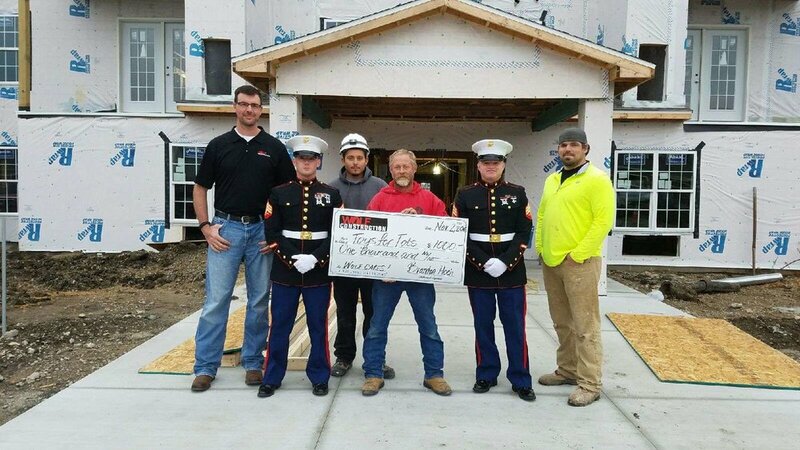 Wolf Construction is proud to again donate to the Animal Rescue League of Iowa. The ARL is Iowa’s largest nonprofit animal shelter, caring for thousands of pets each year. They specialize in adoption, humane education, pet behavior training, spay/neuter, animal cruelty intervention and more. JOPPA’s mission is to express Christ’s unconditional love, build relationships, help people stay warm, dry and healthy and ultimately end homelessness. Wolf Construction is proud to partner with JOPPA to build Tiny Homes for transitional housing. Several members of our team volunteer time to serve on the Outreach Heat Team on even the coldest winter days,. Based in Des Moines, Children’s Cancer Connection serves children diagnosed with cancer and their families. Through camps, event, outings, and hospital based programming, the Children’s Cancer Connection is able to compassionately support hundreds of children, their siblings and families. Puppy Jake Foundation is dedicated to helping military veterans through the assistance of well bred, socialized and professionally trained service dogs. Nominated by Michael Jennings.